2016 was a tough year for me to shovel up some spare time. Work was demanding, so September offered the first window this year for a short vacation. I’d rather grab it! I think this is a good change to get to know Switzerland and the alps a bit better. I mean, while I live in the heart of the mountains I should rather go and check them out. Beside, I haven’t done any serious hiking for a long time. The Bärentrek is arguably one of the most beautiful trails around Switzerland. 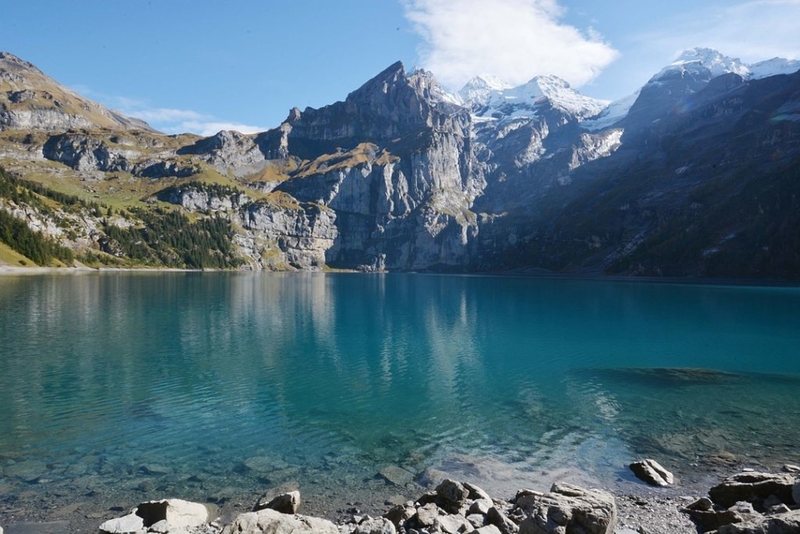 It follows from Meiringen all to way to Gsteig, alongside the allmighty Eiger, Mönch and Jungfrau passing by Oeschinensee, often dubbed as the most beautiful lake sea of the country. Besides those highlights, there will be a ravine to visit, glaciers to look at and solitude mountain huts for some sunset and sunrise gazing. Of course I hope to see some animals too, like capricorns, chamois and my all-time favorite the marmot or – murmeli – how the call it in Switzerland. Is there a cuter name in existence? This article shall be just a short prelude for my upcoming hike, which starts on Monday, as I intend to dedicate an article to each day after my return. So without further ado, have a look at the map for an overview. I’ve planned 7 days to complete the whole trail, which shouldn’t be an issue if the weather plays along. Right now there aren’t any snow fields and early September usually offers fair hiking conditions. Please note: The route on the map ist mostly the accurate route. However, a few sections weren’t even recognized by Google Maps as trails. So I added a few straight lines to outline the estimated route. Not that it matters, anyway.